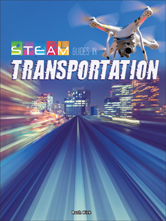 This book describes the process used to develop transportation methods and describes the ways each STEAM field is involved in the process. Hyperloop: Will Hype Become Reality? Rockets and Rovers: What's up in Space?